No Tatt at Tatton Park! Ok I know it’s over but we’ve been out creating gorgeous gardens for people, the RHS really should be more considerate in how they timetable these shows! Anyway, if it isn’t obvious what I’m talking about it is of course the Tatton Park Flower Show! Yes the last big RHS show of the season has come and gone and we can all calm down. We can take the time to sit in our gardens on our many pieces of very fashionable, impulse bought furniture looking quizzically at the many plants, shrubs, water features, pieces of odd statuary, ‘ironic gnomes’ and, in one unexpected turn, the spare Amelanchier they had lying around. Of course in the Accent team’s case we will be doing all this and one other thing – arguing as usual. 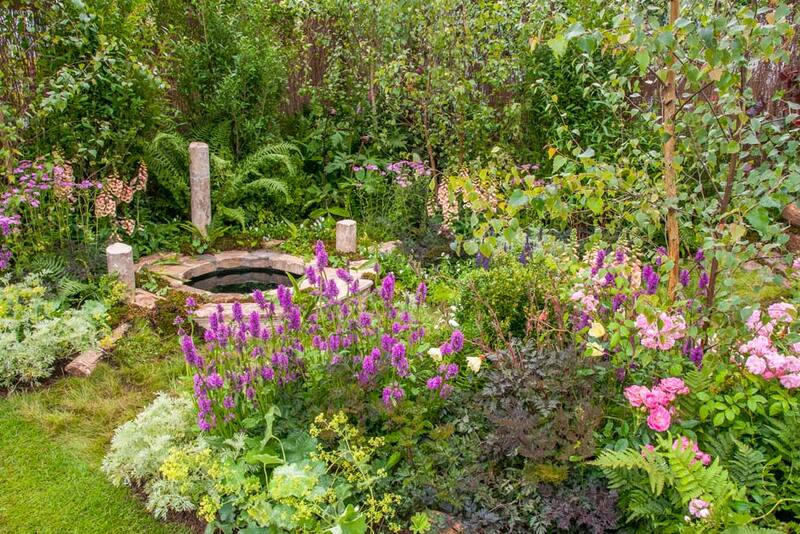 As with the end of every garden show we go to, we all came back from Tatton with different ideas about who should have won what, who was robbed and the exact number of colourful plastic squares a designer can use in a garden before being considered silly. Also as ever, I am the one who writes the blog so my opinion is the one that counts (although I think the others are catching on, they’re casting surreptitious looks in my direction). Admittedly not one of the most originally named in the water garden category, I still thought this one deserved more than a silver. Oddly enough the reason for my liking this garden is that it is not massively innovative, in fact it is pretty much a very nice garden with a comfy seating area and a pleasant enough though not mind blowing water feature. 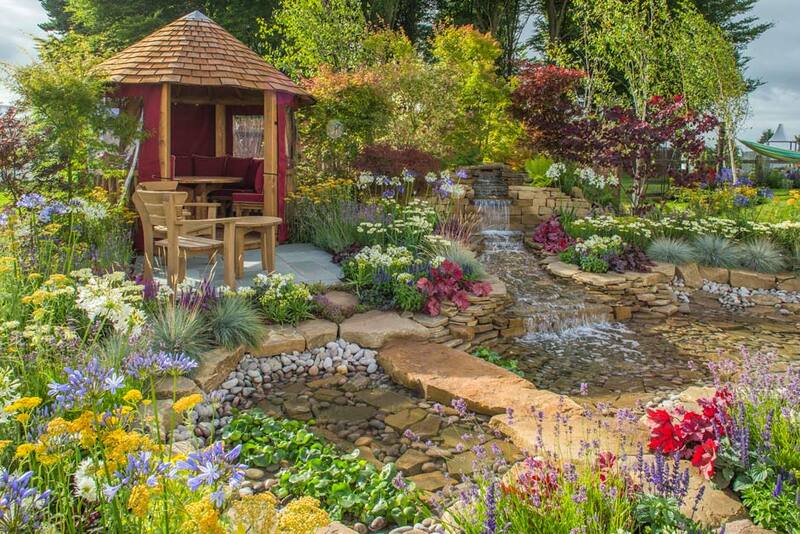 The difference between this garden and the one that won the water garden category best in show, is that I can see myself living in this garden. Sure there are some fantastic works of design elsewhere, evocative structures, innovative uses of space and some really mind bending uses of water, but after a while I do find myself wondering where the cosy bit for me to sit and read is. Yes the Nature’s Reflection garden (best water garden in show) had a very stylish stone seating area, but The Water Garden had cushions and a roof bit for when it rains, gad the wonders of the steam age! I know I know I should be grading these on design, but I am really, most show gardens are perfectly designed for just that purpose, showing not using. This garden could be used and I think that sets it apart enough for recognition. Right, best in show, that’s it we’re done no need to talk to anyone else on the team especially not Han…oh fine, I’m being glared at. I admit I got a little carried away with my appreciation for this one and guess who picked it as their favourite, but I couldn’t help it. I’m a lover of gardens, Shakespeare and witty puns, what isn’t there to love about this? I like the softness and palette of the planting, I like the feel and style, obviously I like the name, I’m sold. Still a bit of objectivity never hurt anyone I suppose, the garden is a cannily designed piece of gardening. Working with the theme of Shakespeare’s A Midsummer Night’s Dream, the garden uses woodland planting to appear wild and almost otherworldly. Centred on a ruined temple, the garden draws you to it seemingly mystically as the apparently wild planting actually forms structure as you look at it. Crateagus planted through grasses creates this shifting sense of structure that’s there one second leading you further into the woods and then gone like a summer breeze, clever eh? A small garden but a splendid one, and it deserved the silver gilt just for the name. Alright if you put a gun to our collective heads I think this is the one we can agree on being the big winner. Which it was of course, in the Year of Light category at any rate. It’s a cracker this one, you wouldn’t usually put a label like iridescent on a garden. Good use of light perhaps, good colour, a balance between sun and shade maybe but there are very few show gardens that are literally dazzling. Everything in this garden is designed to make the most of light, the planting uses a mixture of nearly reflective grasses alongside the brighter fine grasses that catch the light and look particularly fiery, especially later on when we saw it. The colour pallet uses purples and blues, but again both iridescent so that you get gleaming jewels in amongst all the other shiny light reactive planting. Then of course there is the hard landscaping that really sets it all off. Looking more like something nicked from the large hadron collider than a piece of garden sculpture, the central focus of the garden is a ring of curved metal and glass structures that flow down into the centre. Quite odd when you first think about it, but when the light hits them it is rather spectacular. The sculpture bends and reflects light around the garden, highlighting plants and creating a bizarre interplay between light and shade that changes drastically throughout the day, altering the garden as a whole. Now I know I sometimes go on about one of Accent’s favourite tricks is designing a garden that changes with the seasons, but this one changes by the hour. Changing patterns of light hit different parts of the garden as the light changes, all designed to flow seamlessly together and create a flowing, living garden. 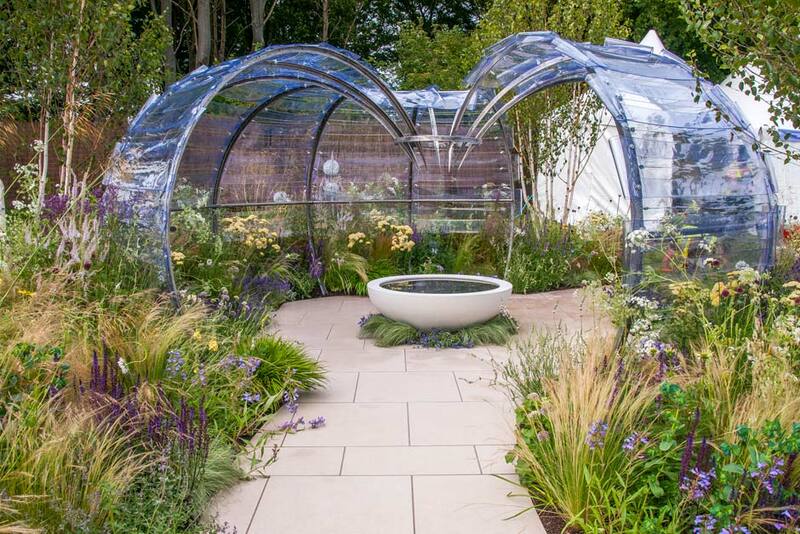 Very, very clever, well deserving of a gold, shame it didn’t have an amazing name like certain other gardens on show. As we produce light sculptures from stained glass ourselves, we were of course going to like anything that included the clever use of light. Anyway, there’s our hotly debated favourites from Tatton Park. Of course the garden show season isn’t over yet, still a few more things to see before the climax of the gardening year with the Accent Garden Designs Garden of the Year Awards (there was a fanfare that went with that, just try to imagine it) where we will for the first time be united on our favourite gardens from throughout the show season. So watch out for that and in the meantime get out and enjoy the garden while the weather’s still good.